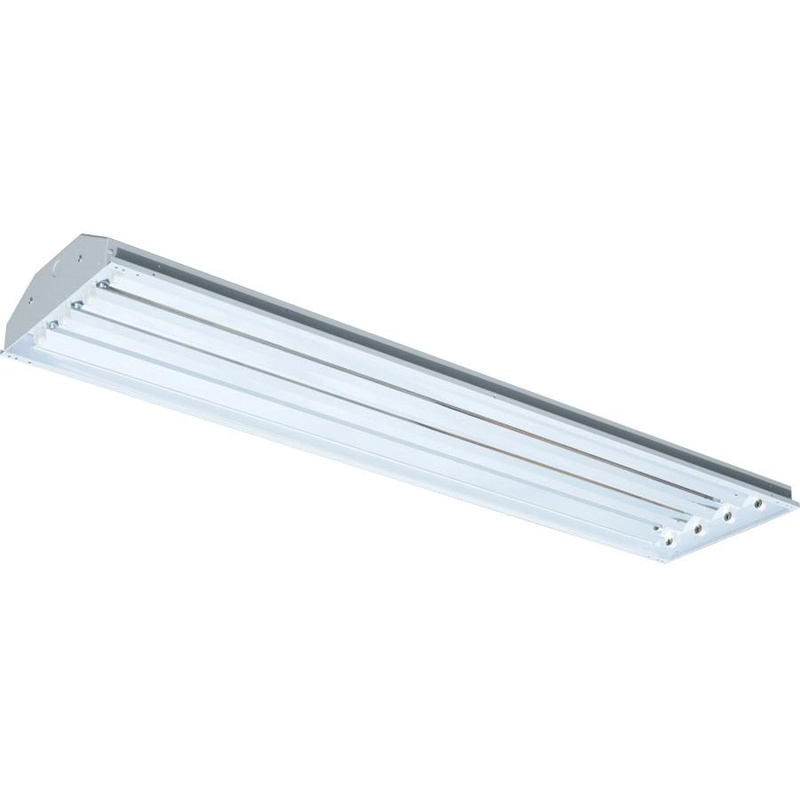 Rab Fluorescent highbay fixture has medium 2-Pin socket that supports 54-Watts power rated four 72 LPW efficacy 85 CRI fluorescent lamps for lighting. Luminaire provides 17340-Lumens of light. Highbay fixture has 22-gauge steel housing construction with white powder coat finish for maximum reflectance and added durability. This highbay luminaire has aluminum high-performance brilliant bevel segmented reflector that provides maximum reflectance greater than 86%. Highbay luminaire supports ceiling/surface/chain mounting that is suitable for highbay, gymnasium, commercial and industrial purposes. Luminaire meets EPA act 2005 incentives and UL standards.